Each month we showcase some of the fantastic stories our community of business owners and professionals have to share. This month Edson Santos speaks to Virtalent about his property and lettings business, Conscious Homes. Hi, please introduce yourself and your business. I am Edson Santos, Director of Conscious Homes, a property development and lettings company. Conscious Homes was founded because of a desire to provide people with beautiful living spaces. We have seen so many homes being rented or sold that have been neglected over time. We wanted to show that there is a way to make them beautiful again. And to do so in a way that lowers their carbon footprint, creating a better community for us all. That sounds very satisfying. What does a typical day look like for you? It’s very varied. I might be managing tenants, overseeing property purchases, finding and managing trades people, working with utility companies, project managing refurbishments, liaising with councils or networking with estate agents. You sound very busy indeed! Why did you choose to work in this industry? There is something I love about property and being able to give run down buildings a new lease of life. I love the idea of a property going from a dark and dingy place to something that oozes light and character. There’s nothing quite like the feeling of turning a building from a place that someone would think twice about living in, to something nice, clean and modern. It’s very satisfying to see the difference that you putting your stamp on a property makes, both to the building and those that view it. I love helping people to breathe life back into their unused or dilapidated properties. And what has been your biggest challenge since starting your company? Time. As ever, it is the one thing you can never have enough of! But having my Virtual Assistant, Michelle, on board has really helped me to free up what time I do have! We’re very pleased to hear that! What is your vision or long-term aim for the business? 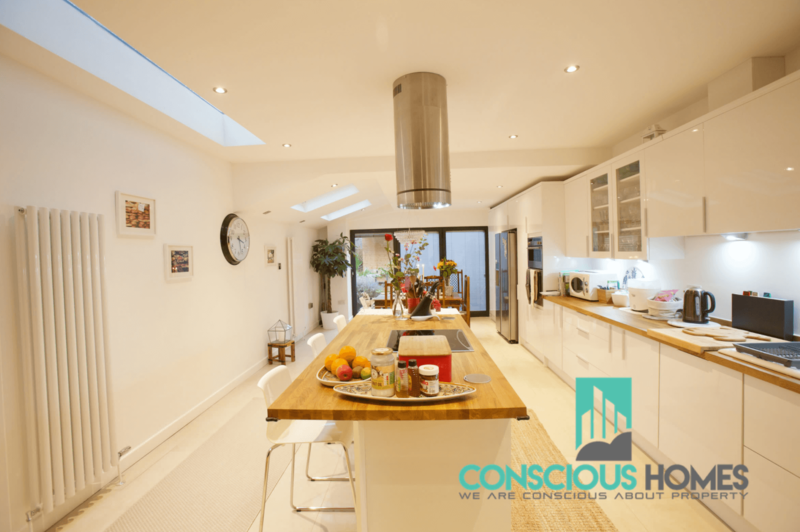 My vision for Conscious Homes is to have several partners and to be able to guide as many people as I can in starting their property refurbishment journey. We look forward to helping you do that. How did you hear about Virtalent? I had been looking for a Virtual Assistant for a while and came across the Virtalent website after doing a Google search. It was one of the easiest websites to use and the whole process was made simpler by that fact that all of the VAs are UK based. What tasks and projects have we been supporting you with? How has this support changed the way you work? A good example of how Michelle has been supporting us is on our most recent project. We are renovating an entire building that has been neglected for quite some time. It originally consisted of four units – two 1 bedroom apartments, one studio and a small barber shop. We are looking to upgrade it and turn it into a beautiful, modern home. Michelle’s support has been invaluable. She has helped me find a quantity surveyor to project manage the renovation. The whole building is in need of a rewire and a new gas supply, and a roof extension is currently underway to supply the top floor flat with more liveable space. Michelle has reached out to suppliers and utility companies to make this happen. The project is on a tight timescale and we are working hard together to make sure it all goes to plan.